Founded in 1992, Paris-based law firm has continually provided legal assistance and expertise to clients worldwide for the protection and defence of their industrial property and IP assets (other than patents). Gilbey Legal advises French and international clients and associates, comprising many multinational corporations in, for example, the pharmaceutical, animal health, tobacco, food and beverages, alcoholic products, cosmetics, electronics, IT and social media, multimedia, consumer products, apparel, design and luxury goods fields in all phases of management, as well as the exercise and enforcement of industrial property and IP assets. expertise in customs surveillance and enforcement, providing both domestic and international clients with strategic anti-counterfeiting solutions. Gilbey Legal is recognised by its peers and the industry at large in major rating organisations for the quality of its services, its reactivity and its pragmatic hands-on approach to problem solving. We pride ourselves on our policy of providing high-level services for equitable fees, and we always strive to meet our clients’ budgetary and management requirements. Our goal has always been to create and maintain long-lasting and trusting relationships with our clients. Richard Gilbey has practised law in France for over 25 years, seven of which were spent successively as head of trademarks of two major pharmaceutical companies (Synthélabo and Sanofi). 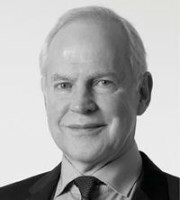 Mr Gilbey founded the firm in 1992. He is an advocate admitted to the Paris Bar and advises in all areas of IP law. He is regularly named among the best professionals in his field in France by top-ranking institutions. Mr Gilbey graduated in 1974 with a law degree from The Queen’s College, Oxford. He is admitted as a solicitor in England and Wales, where he is also a member of the Law Society. He holds postgraduate degrees in European Community law and IP law from Strasbourg University, where he spent three years as a researcher in European law (patents and monopolisation). He is an honorary member of the Centre For Intellectual Property Law and Technology Advisory Council at University of Akron School of Law (Ohio). He is a regular speaker at the International Trademarks Association (INTA), the European Community Trademark Association (ECTA) and the Pharmaceutical Trademarks Group. Mr Gilbey teaches at the Strasbourg Centre for International Intellectual Property Studies (CEIPI) and lectures in Japan and India. He contributes to several IP publications. Jehan-Philippe Jacquey has been a member of the Paris Bar since 2005. He holds a postgraduate degree in IP law from the University of Strasbourg (CEIPI) and a postgraduate degree in business law from the University of Burgundy. He joined Gilbey Legal in January 2010. He previously worked as in-house trademark counsel for a multinational food and beverages company and as an associate lawyer in an IP litigation boutique firm. Mr Jacquey focuses on litigation dealing primarily with copyright, design, trademark and unfair competition matters. He belongs to INTA (in particular, he is a member of the Famous and Well-Known Marks Committee), the ECTA, the Association of Trademark and Design Law Practitioners (APRAM) and the Association of CEIPI graduates. Joanne Quirin has been a member of the Paris Bar since 2011. She holds a post-graduate degree in IP law from the University of Strasbourg (CEIPI). Before joining Gilbey Legal in March 2012, Ms Quirin worked as an associate in a patent litigation boutique firm. Ms Quirin covers all industrial property and IP subjects, other than court litigation. She belongs to several professional associations – in particular, APRAM, INTA and MARQUES.